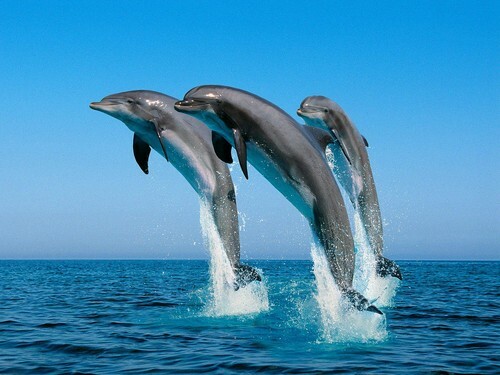 dolphins. . HD Wallpaper and background images in the Animals club tagged: animals. This Animals photo contains billfish and marlin. There might also be spearfish, swordfish, xiphias gladius, atlantic herring, and clupea harengus harengus.